Conceived by a trio of designers from Lyon, France, who observed their parents' constant struggle to locate their readers, this line of chic, ready-to-wear eyeglasses satisfies the need for fashionable readers at an accessible price. The stylish, retro-inspired spectacles flatter all face shapes, feature soft finishes and comfortable flex hinges. 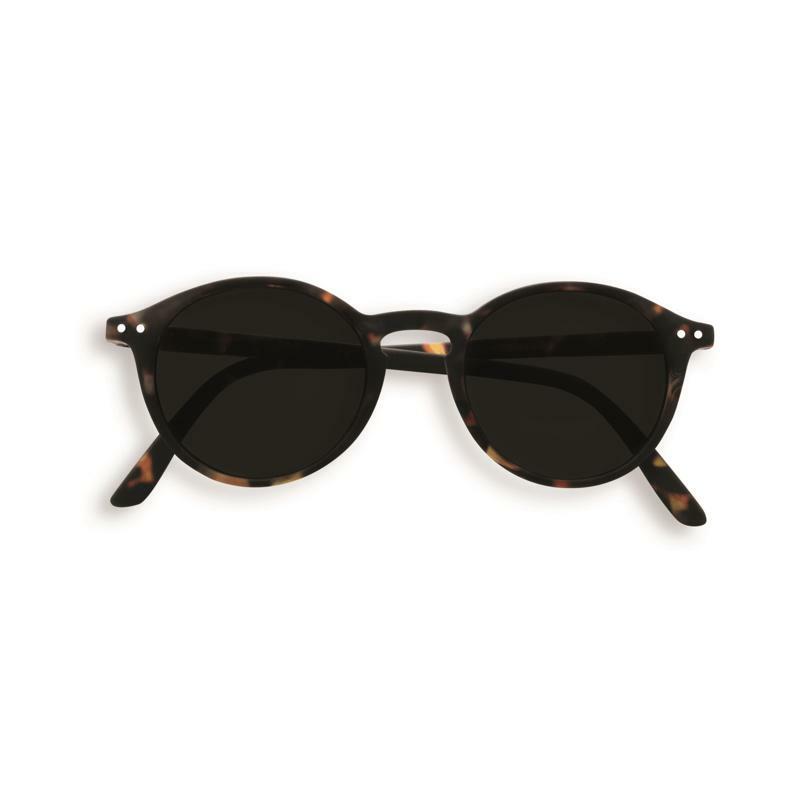 The Sun Readers are available in dioptre strengths: 0, +1, +1.5, +2, +2.5. 100% UV sun protection. Parisian-based label IZIPIZI understands the struggles of trying to read on a blazing hot day and having to compromise your reading glasses for a pair of sunnies. The Sun LetmeSee #D sunglasses solve this dilemma as they play the role of both, sculpted from smooth and lightweight rubber to a rounded frame, they are the perfect complement to an off-duty but impeccable style. Standards: This model complies with the European standards for non-prescription glasses (NF EN 14139) and with the international standards for prescription glasses (IS0 12870).